Welcome to DanaPresent, the Art of Giving. Inspired by Buddhism, we design and manufacture original and unique products made from certified organic material. DanaPresent, is the expression of our vision. Dana is the Buddhist practice of generosity, bringing joy to both the receiver and the giver. Present is the state of being here and now as well as another word for gift and giving. Together DanaPresent, the art of joyful giving. The products are accompanied by a practice suggestion which may support Mindfulness or Loving Kindness meditation. Part of our earnings will be used to support a project, charity or institution. 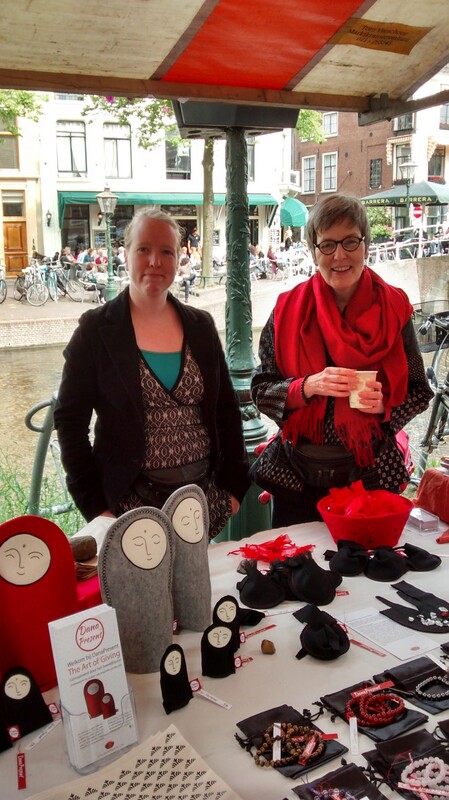 The first project we’ll be supporting is a visit of Buddhist teacher and psychotherapist, Caroline Brazier, to the Netherlands. Caroline lives and works at The Buddhist House in Narborough, England and is course leader of the Tariki training programme in Other-Centred Approach. Author of six books on Buddhism and psychotherapy, she also conducts a private practice in psychotherapy. For more information go to: www.buddhistpsychology.info.